Kansas City Symphony Board Chair William M. Lyons announced today the Symphony Board has selected Daniel E. Beckley as the next Executive Director of the Kansas City Symphony to succeed Frank Byrne, who will complete his nearly 19-year tenure this year. Beckley will assume the role of Executive Director on July 29. Beckley is a skilled and experienced orchestra administrator. Since 2013, he has served as vice president and general manager of the Indianapolis Symphony Orchestra. Prior to that time, he was Executive Director of the Charleston Symphony Orchestra in South Carolina. Beckley’s other experience includes serving as managing director of BlueKey Web Solutions in Charleston, a company he helped found, and he also has been a public school orchestra director. He earned a bachelor’s degree in music education from James Madison University and a master’s degree in music performance from Northwestern University. He received additional training from the League of American Orchestras and the Indiana University Lilly Family School of Philanthropy. Beckley was selected in a comprehensive, seven-month national search chaired by Lyons along with a 15-member search committee comprised of Symphony board members, staff and musicians. Current Executive Director Frank Byrne and Music Director Michael Stern served as advisors to the search committee. “I am honored and humbled to take the helm from Frank Byrne, and to work alongside Michael Stern, the Board, the staff and musicians of this outstanding organization, to continue deepening Kansas City’s relationship with symphonic music,” Beckley said. With an annual budget of $19.8 million, the Kansas City Symphony is a thriving and dynamic organization. As Executive Director Beckley will be responsible for all aspects of administration and management, including operations, finance, marketing and fundraising. 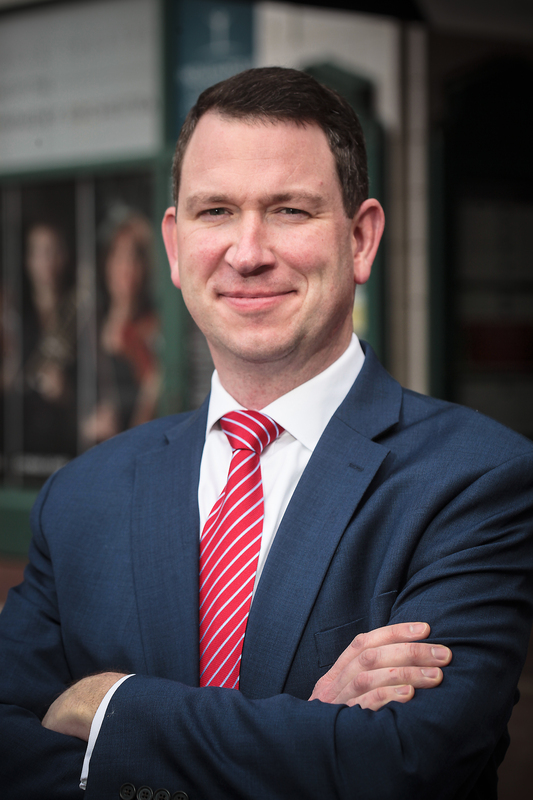 He will lead a staff of 35 full-time professionals and work with the orchestra’s 80 full-time musicians to present nearly 200 performances annually. Beckley will work closely with Stern on programming and artistic planning as well as the Symphony Board on strategic planning and other initiatives to continue the Symphony’s remarkable record of success. Stern is optimistic about Beckley joining the Symphony. To assure a smooth transition in the role, the Symphony has planned an overlap period beginning in late May when Beckley will take the title Executive Director Designate. He will work closely with outgoing Executive Director Frank Byrne to become acquainted with all aspects of the organization, meet key people and partners in the Kansas City community, and prepare to take over as Executive Director on July 29. This planned turnover time is rarely possible in other orchestras, but is another example of the Kansas City Symphony’s extraordinary culture of excellence and collaboration. 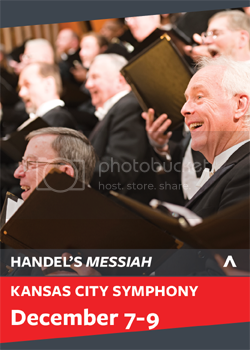 To learn more about the Kansas City Symphony, visit kcsymphony.org or call (816) 471‑0400. 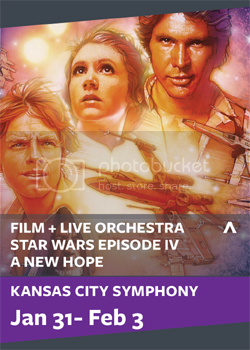 The Kansas City Symphony 2019/20 season is a blockbuster lineup with epic music, many superstars and timeless films for audiences of all ages. The Symphony offers three main series: Classical, Pops and Family. The 2019/20 Classical Series will honor three major anniversaries — 250 years of Beethoven, Isaac Stern’s centennial and Michael Stern’s 15th year as Music Director. The 14-concert Classical Series begins in September and runs through June 2020. The Classical Series is available in three options: Bravo Series (7 concerts), Ovation Series (7 concerts) or Masterworks Series (all 14 concerts). The 2019/20 season will mark Music Director Michael Stern’s 15th season this September and the Symphony’s ninth season in Helzberg Hall at the Kauffman Center for the Performing Arts. Fourteen concert weekends: 8 p.m. Fridays and Saturdays; 2 p.m. Sundays. “Three anniversaries — 15, 100, 250 — come together for one very special season,” Stern says. “I’m thrilled to mark my 15th season as Music Director with two interwoven and wide-ranging themes, Isaac Stern’s centenary celebration, and the 250th anniversary of the birth of arguably the most influential composer of Western music, Ludwig van Beethoven. “Beethoven’s place in our hearts and minds is forever assured,” Stern says. “This milestone year allows us to reexamine his music. And I’m grateful to share the celebration of my father with my extended Kansas City family. Aside from being one of the towering violinists of the 20th century, his advocacy for the arts as an agent of change, for music as a force for good, and for education resonates more powerfully today than ever before. He’d have been proud to see how the Kansas City Symphony has made the case for music in our city. 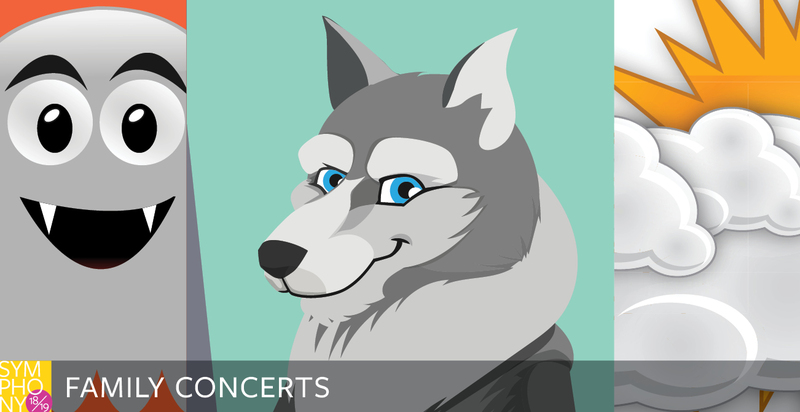 David T. Beals III Associate Conductor Jason Seber and guest conductors lead the 2019/20 Symphony Pops Series, which promises lots of fun. Four concert weekends: 8 p.m. Fridays and 7 p.m. Saturdays (new time!). Additionally, three Sunday afternoons and one Thursday evening concert date available. Visit kcsymphony.org details. The Symphony Family Series is perfect for introducing children ages 4-13 to symphonic music, including the full-length Christmas Festival. Each child subscription is only $10 with the purchase of an adult subscription. 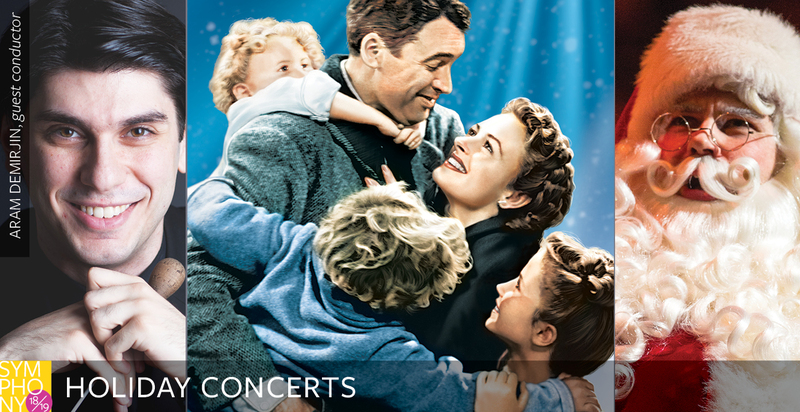 In addition to the core series, the Symphony presents special and holiday concerts each season. 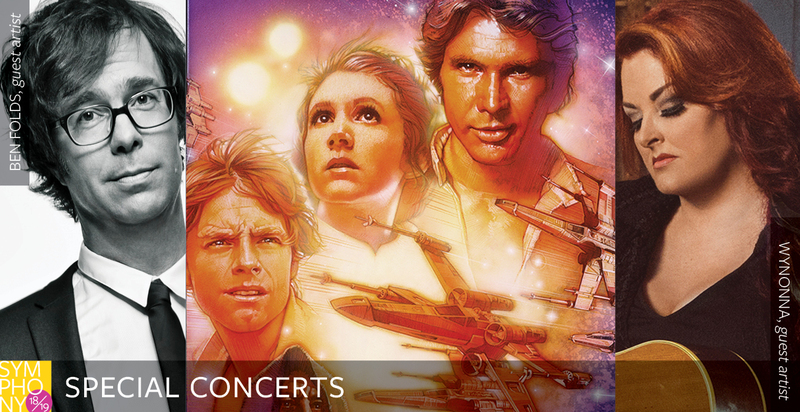 Subscribers can add these holiday and specials concerts on when buying 2019/20 season tickets. Single tickets for most concerts go on sale to the public in July. The Symphony will announce the rest of the 2019/20 concerts, such as Classics Uncorked and the free Happy Hour Series concerts, closer to July when single tickets become available. April 1 is the deadline to renew or purchase a new subscription for the 2019/20 season. Symphony subscribers can secure the best seats at the best prices and receive free exchanges for most concerts. Subscribers also receive discounts on additional ticket purchases. Classical Series season ticket holders who subscribe by April 1 will receive a “Share the Symphony” voucher good for two free tickets to a select Kansas City Symphony 2018/19 Classical Series concert. Some of the top subscriber benefits include access to the best reserved seats at the best prices offered, free exchanges, subscriber discounts, reserving parking in advance, opportunities to buy special concert events before the public, and much more. To renew or learn more about becoming a Kansas City Symphony season subscriber, visit kcsymphony.org or call the Symphony Box Office at (816) 471-0400. VIEW THE 2019/20 SEASON BROCHURE. The Kansas City Symphony is offering up to two free tickets to furloughed government employees for this weekend’s concerts (Jan. 25-27) while supplies last. The concerts are this Friday, Jan. 25 at 8 p.m., Saturday, Jan. 26 at 8 p.m. and Sunday, Jan. 27 at 2 p.m. at the Kauffman Center for the Performing Arts in downtown Kansas City, Missouri. The program led by conductor Michael Stern, “Enchanting and Exotic: Firebird, Aladdin and Rachmaninoff,” features guest pianist Alon Goldstein on Rachmaninoff’s First Piano Concerto along with Stravinsky’s Firebird, Nielsen’s Aladdin Suite and Griffes’ The White Peacock. To redeem while supplies last, please call the Kansas City Symphony Box Office at (816) 471-0400 between 10 a.m. and 5 p.m. weekdays and identify yourself as a furloughed government employee. Limit one pair per household. 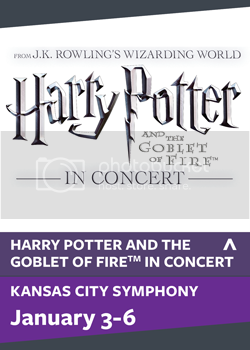 Tickets will be assigned at the Will Call ticket desk at the Kauffman Center for the Performing Arts (1601 Broadway) on the day of the performance starting two hours prior to the concert. Tickets must be picked up in person, and furloughed employees must present a valid government employee ID when picking up the tickets. Offer is not valid toward previous purchases. For additional questions, please contact the Kansas City Symphony at (816) 471-0400 or visit kcsymphony.org. Why is Schubert’s No. 9 “The Great” so Great? Lots of famous symphonies have nicknames. Think Haydn’s “Surprise” Symphony, Beethoven’s “Eroica,” Mozart’s “Jupiter” and many more. Oil painting of Franz Schubert by Wilhelm August Rieder (1875), made from his own 1825 watercolor portrait. Music historians suggest Schubert’s Ninth received “The Great” moniker as simply a way to distinguish it from his Symphony No. 6 (also in C Major), which is now sometimes called the “Little C Major.” The much grander No. 9 is also longer, measuring about 48 minutes versus No. 6 at roughly 27 minutes. Other great composers revered this symphony. Hector Berlioz wrote that Schubert’s Ninth “is, to my thinking, worthy of a place among the loftiest productions of our art.” — Frank Byrne, executive director. Schubert’s “Great” is equally majestic and innovative, and it is even more impressive that it stands out as one of Schubert’s greatest achievements given that it was written only one year after Beethoven’s Ninth. — Jason Seber, David T. Beals III Associate Conductor. I love the piece. As a violin player, it’s so rewarding to play, especially the Finale — technically challenging and musically satisfying! — Chiafei Lin, acting assistant concertmaster. It has one of the greatest trombone parts in the repertoire. About Schubert’s time, trombones were used mostly for special effect, change and color in the orchestra. Schubert’s “Great” C Major was one of the first times that trombones were used in a very egalitarian way. There are solo parts in each instrument; the section itself has big solo portions. It’s not until Mahler, actually, that composers used the trombone in the same kind of way that the other sections were used in the orchestra. — Roger Oyster, principal trombone. Majestic timpani rolls! — Christopher McLaurin, principal percussion. I love this quote from Robert Schumann’s essay discussing the work, “Here we find, besides the most masterly compositional technique, life in every fiber; coloring down to the finest gradation; meaning everywhere; sharp expression in detail; and in the whole a suffusing Romanticism such as other works of Franz Schubert have already made known to us. Schumann summed it up very well in that the music of Schubert explores all facets of emotion, of life, of experiences, and most importantly always leaves us yearning for more. My favorite part of the Schubert’s Ninth Symphony is the 2nd movement, after the climax and after the Grand Pause … heavenly indeed. — Kristina Fulton, principal oboe. Because in the purest sense of the word, this work is humanity distilled into one soaring and timeless song. 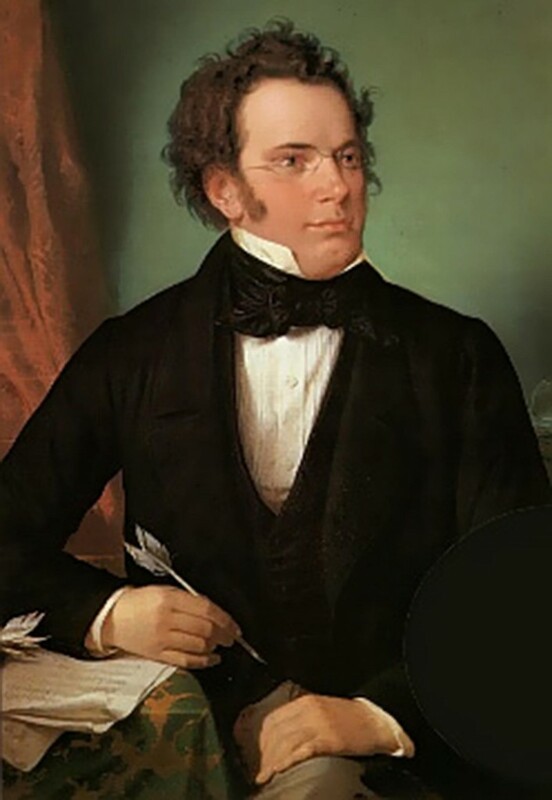 Schubert was a song composer, though his gifts for chamber and orchestral music are clear. But then, at the age of 30, he transcends the form of the symphony in a way that practically no other work does. Other symphonies have broken out of their molds as new creations of form — think the Berlioz Symphonie fantastique or Mahler. But in the propulsion, the energy, the optimism tinged with nostalgia and sadness which yields inevitably to elation and triumph, and especially the long-lined lyricism, this piece is nature and humanity transported to a higher realm. — Michael Stern, music director. What do you think? Send us message on Facebook or Twitter. To hear your Kansas City Symphony perform Schubert’s Ninth “The Great” on the Nov. 16-18 concerts, visit kcsymphony.org or call the Symphony Box Office at (816) 471-0400. The program, led by conductor Michael Stern, also includes Bach’s “O Jesu Christ, meins Lebens Licht,” Mozart’s Ave Verum Corpus and John Adams’ On the Transmigration of Souls. Tickets start at $25. 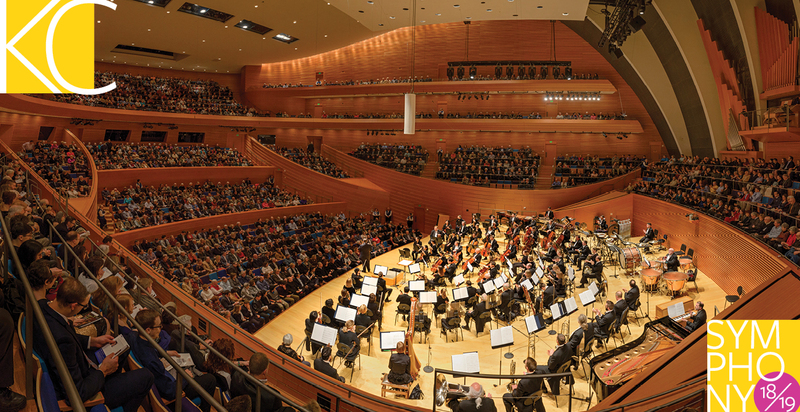 All concerts held in Helzberg Hall at the Kauffman Center for the Performing Arts in downtown Kansas City, Missouri. THERE’S NOTHING QUITE LIKE THE HAPPY EXPECTATION AND EXCITEMENT OF A new season! Dance dominates our opening weekend (Sept. 14-16). Rachmaninoff’s last major masterpiece, Symphonic Dances, is a piece I’ve come back to many times in my life, always finding something new. It’s not just Rachmaninoff’s signature romanticism, the magnificent melodies or the irresistible rhythmic momentum that captivate me. I love the nostalgic melancholy showing us how homesick he was for his native Russia long after he came to the United States. The concert opener couldn’t be quirkier or more fun than Aaron Jay Kernis’ New Era Dance, an energetic accompaniment to the political and social upheavals of the early 1990s. 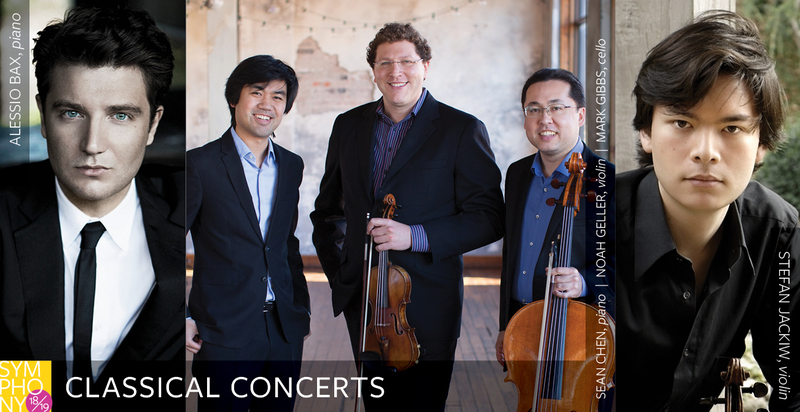 And for a long overdue treat we’ve not played in more than two decades, three great soloists join us for Beethoven’s Triple Concerto — Noah Geller, back from Seattle for these concerts, Mark Gibbs, celebrating his 20th anniversary as our principal cello, and Sean Chen, an immense talent whose debut here is also overdue. The dancing continues with Beethoven’s Seventh (Oct. 5-7), which Wagner called “the apotheosis of the dance.” Whether or not Beethoven had that explicitly in mind is beside the point; we readily respond to its lilt. I met the wonderfully inventive composer Michael Kurth when I was conducting the Atlanta Symphony, where he’s a bass player, and I wanted to bring his colorful and evocative A Thousand Words to Kansas City as soon as I discovered it. I’m equally thrilled that the brilliant George Li is returning to perform Grieg’s Piano Concerto with us. There was something very moving to me pairing Mozart’s exquisite Ave verum corpus (Hail, True Body) with J.S. Bach’s sacred motet “O Jesu Christ, meins Lebens Licht” (O Jesus Christ, My Life’s Light) in our next concerts (Nov. 16-18). Mozart wrote 46 perfect measures essentially as a stream of consciousness, and it’s even more emotional realizing his life ended almost exactly six months later. Bach’s glorious music was meant for a funeral. Together, these deeply human utterances introduce John Adams’ On the Transmigration of Souls, his profound emotional response to those lost in the tragedy and sacrifice of 9/11. In all three, our Symphony Chorus musicians are the soloists. For me, the extraordinary life affirmation in every bar of Schubert’s monumental last symphony was absolutely fitting to bring our program full circle. See you at the concerts! 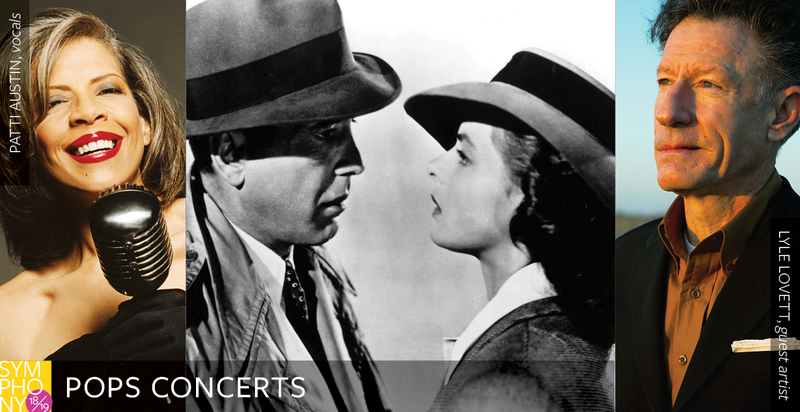 To secure seats, visit kcsymphony.org or call (816) 471-0400. Leonard Bernstein would have turned 100 years old on August 25, 2018. As we launch into his centenary, we devote these varied programs to celebrating his legacy, and it is right and fitting, and should come as no surprise to anyone. No musician before him, and none since, has loomed quite as large on the musical landscape. No one has had such a multifaceted impact, mostly because no one has been so multitalented. No musician ever stood for music, for the arts, and for the social impact of what music and musicians might accomplish more than he did. Now, more than ever, I think about that, and him. Lenny — as he exhorted everyone to call him — identified himself as a composer, though he was in fact so much more. It’s impossible, in considering the totality of what he was, to separate his private musical muse from his onstage personality as a performer or his social profile as a public figure. His legacy as a composer, however, is undeniable. The synergy of his imagination and talent collided spectacularly with the energy and possibility of America as she emerged from World War II. Ambition, daring, enormous hard work and a refusal to be straightjacketed by the conventions of the past defined the post-war climate in our country, and these are all hallmarks of his music. Lenny threw open the gates to allow American music to express itself in a completely new way. There had been authentically American composers who made their mark, of course, from Ives, Griffes and all of Tin Pan Alley, including Gershwin, to his own contemporaries. Lenny intimately knew and understood their music, and chief among them was his mentor Aaron Copland. However, in his synthesis of popular music, jazz, Jewish folk and sacred music as well as his deep understanding of the language of Western Art music from Baroque to its most modern iterations, Lenny was unique. In trying to represent his eclectic legacy, I chose works to celebrate his many facets as a musician. Aside from unassailable masterpieces such as West Side Story and Serenade for Violin and Orchestra, we hear his easy gift as a vocal composer in some of his songs from Arias and Barcarolles and Songfest as well as his Broadway classics. The ambitious and extraordinarily creative leap of faith in his gigantic theater piece Mass is given haunting expression for cello and orchestra in his arrangement of Three Meditations. His love of piano and jazz is exuberantly on display in The Age of Anxiety. He even got it right in Hollywood. While never having written for a movie before, with no prior knowledge or experience, his score for “On the Waterfront” is a model of how integral music can be to the unfolding narrative on the screen. Yet the music also stands on its own as a work of extraordinary power and beauty. For all American musicians, Lenny was much more than a composer. As a pianist, educator, TV personality, and above all, conductor, Lenny was the face of American music for almost half a century. For me, growing up in New York, his tenure at the Philharmonic and his celebrated Young People’s Concerts were my hometown fare. His personality was hypnotizing to me, even as a child. A lifelong friend and professional colleague of my father, Lenny and his wife Felicia were close with both of my parents. We lived across the hall from Phyllis Newman and Adolph Green, Lenny’s closest childhood friend with whom he collaborated for On the Town and many other works, and our three families mingled together easily. Michael Stern, age 4, at the New York Philharmonic in 1963 with his older sister, Shira. Lenny also guided me during my time at Harvard University and the Curtis Institute of Music. I remember to this day the hours Lenny spent talking to me on the phone and in person when I was writing my undergraduate senior thesis about Copland, Gershwin and Marc Blitzstein, sharing his unique insights on these people he knew well. But, as a conducting student, I realized how much of a hero he was to me. Lenny’s music-making was larger than life, whether you agreed with every musical choice or not. Well before he invited me as one of three young conductors to appear with him on a program at the New York Philharmonic, I sat in the orchestra at Curtis with him on the podium. It was then I realized that, more than anyone I had ever witnessed, Lenny could instantly transmit to the players in front of him much more than how to play together and in balance. Playing for him, you knew clearly where and when to play, but much more importantly, why. To me, there has never been anything, or anyone, quite like that. I miss him more than ever. Friday and Saturday, February 2-3, 2018 at 8 p.m. | Sunday, February 4, 2018 at 2 p.m.
Wednesday, February 7 at 6 p.m.
Friday and Saturday, February 23-24, 2018 at 8 p.m. | Sunday, February 25, 2018 at 2 p.m.
Friday and Saturday, March 16-17, 2018 at 8 p.m. | Sunday, March 18, 2018 at 2 p.m.
Friday and Saturday, March 23-24, 2018 at 8 p.m. | Sunday, March 25, 2018 at 2 p.m.
Friday and Saturday, April 13-14, 2018 at 8 p.m. | Sunday, April 15, 2018 at 2 p.m.
Friday and Saturday, June 22-23, 2018 at 8 p.m. | Sunday, June 24, 2018 at 2 p.m.
To purchase tickets, click on the links above for concert details or call the Symphony Box Office at (816) 471-0400 between 10 a.m. and 5 p.m. weekdays. More than 1,000 donors collectively committed $55 million to the Masterpiece Campaign, raising $3 million in the final 6 months. Thanks to many generous donors the Kansas City Symphony has completed the Masterpiece Endowment Campaign, its largest fundraising effort to date, raising just over $55 million in new endowment funds to strengthen and secure the future of the Symphony. The Kansas City community responded enthusiastically to the campaign, contributing $52 million quietly over 4 1/2 years and $3 million during the concluding six-month public phase. Together, more than 1,000 donors pledged gifts ranging from $10 to $10 million during the five-year period. When all campaign pledges are fulfilled, the Kansas City Symphony’s endowment will total more than $100 million, bringing it to a level comparable with peer organizations. With an annual operating budget of nearly $17 million, the Symphony plans to draw an average of 4 percent annually from endowment. In time, this will translate to roughly $4 million or just less than a quarter of the annual operating budget. The Masterpiece Campaign grew out of the Symphony board’s goal to continue the artistic and financial success that has distinguished the Kansas City Symphony. Through a comprehensive financial analysis and study of industry best practices, the Symphony observed that the most successful American orchestras required a robust endowment to supplement ongoing and growing annual fundraising. While the completion of the Masterpiece Campaign will provide a much more stable base of funding, Symphony leaders understand that operating expenses will continue to grow and that a growing annual fundraising effort will be required to sustain the Symphony’s impressive momentum. While it is common to cover endowment campaign expenses out of donations, the Kansas City Symphony broke this mold. Instead, the Symphony funded all endowment campaign expenses from its annual operating budget. The Kansas City Symphony has played a key role in shaping the artistic landscape of Kansas City. As a driver of the city’s cultural renaissance, the Symphony is setting the standard for how a professional symphony orchestra can thrive and be connected to its community. The Symphony provides nearly 70 percent of the live music at the Kauffman Center for the Performing Arts, presenting more than 100 performances each season of 45 different programs. 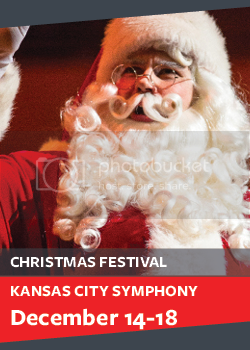 The Kansas City Symphony also plays 60 performances with the Kansas City Ballet and Lyric Opera of Kansas City. Each season, nearly 75,000 people attend a free Kansas City Symphony performance, and more than 50,000 adults and children participate in Symphony education programs. After six seasons at the Kauffman Center, the Symphony continues to increase audiences with an innovative and smart mix of programming. Advancing its destination reputation, the Symphony has attracted attendees from nearly all 50 states, Washington, D.C., Guam and Puerto Rico plus more than a dozen foreign countries each season since 2011. The Symphony helps make our city a vital and thriving community, creating a $22-million annual impact on the economy, generating $1.7 million in state and local taxes. The completion of the Masterpiece Campaign is the latest in a series of successes defining the organization’s evolution in recent years. In June 2016 and one year before its expiration, Symphony management and musicians harmoniously extended their collective bargaining agreement through June 2021. The Symphony has successfully extended contracts with Music Director Michael Stern (through 2019-20), Symphony Chorus Director Charles Bruffy (through 2019-20) and David T. Beals III Associate Conductor Jason Seber (through 2018-19). The organization has set all-time records in attendance and revenue in recent seasons. For many years, the Symphony has balanced its budget (or better) and devoted more than 70 percent of its annual budget toward programming. Music Director Michael Stern said the combination of these elements makes it thrilling and rewarding to be part of the Kansas City Symphony family. To celebrate and acknowledge this milestone, the Symphony plans to hold an event in the spring for those who contributed $1,000 or more to the Masterpiece Campaign. 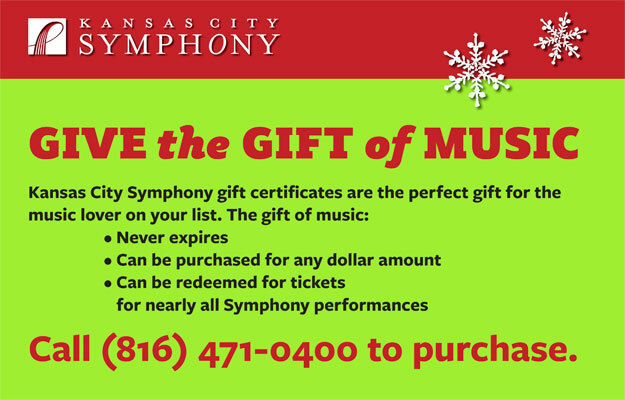 Those who wish to contribute to the Symphony’s endowment or annual fund may call (816) 471-1100 or visit kcsymphony.org.